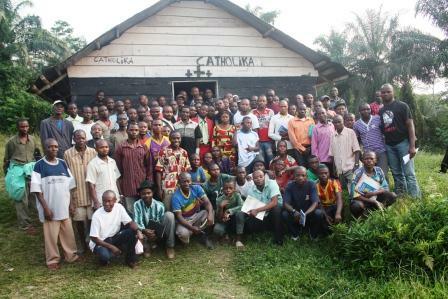 The actual involvement of local communities living at the peripheries of the Park in the governance of natural resources is a top priority for Natural Park Kahuzi-Biega (PNKB). This aspect is particularly emphasized in the implementation of the second phase related to general management plan of the Park (2012 – 2014). The following recommendations, made ​​at the moment of the evaluation of the first phase of the Management Plan, illustrate a concern to preserve and protect for, by and with local communities. – Develop, together with the provincial authorities and local populations of PNKB, development plans through customary leadership, as part of the Provincial Priority Plan and as consolidation of the decentralization process. – Strengthen the involvement of customary authorities – as first conservators – in awareness rising campaigns among people living in the periphery of PNKB. – Strengthen visibility actions with populations concerning supports of PNKB related to their development. – Develop income-generating activities in the household approach and in promising sectors. – Orient communautaries conservation activities in aim to create linkage with targets of conservation. – Conduct baseline studies bringing out indices of the level of basic needs of the communities, and serving to gauge to the contribution of the actions of the park to improve the life conditions of these communities. – Retain the guiding principle related to awareness rising camping and communication, which simply consider conservation as a socio-economic and political option that one society adopts a given period. – Regarding awareness rising themes, it is important to choose them with community members according to the results of Survey, the attempt impact and in aim to make a feedback. This approach has started in chieftaincy of Kabare, and it is intensified in all decentralized entities at the border of the park. 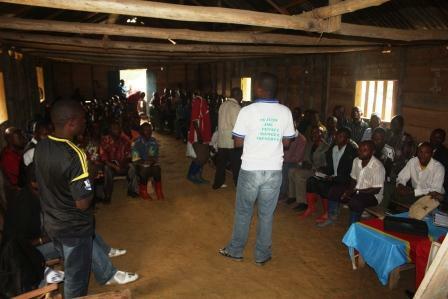 The second beneficiary was Bakano group. Today a focus is made on Bakondjo group in the same sector. 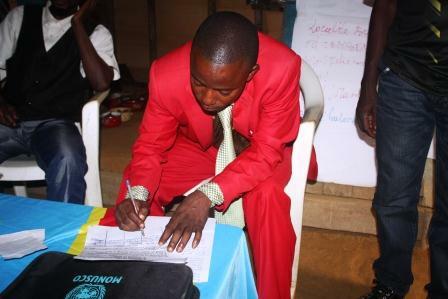 During 14 days, with technical and financial support from Kahuzi-Biega National Park, local populations have defined not only the mandate of their advisory body of environmental management and development, they have also developed and signed an act of commitment to this process. We thank UNESCO, le PACEBCO and la Fauna and Flora International for technical and financial support they bring to this process of PNKB. 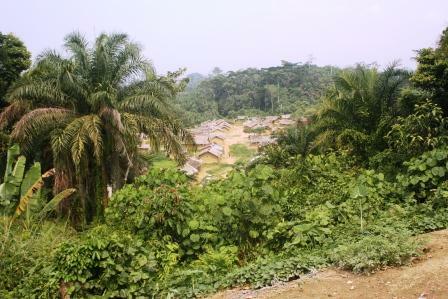 This entry was posted in Implementing of Community Management conservation Council of Bakondjo groups, the PNKB experiments the C.G.C.C in the neighboring territory of Kabare. and tagged climate, environment, promising sectors, science, visibility actions. Bookmark the permalink.